Just the mere mention of Rugrats and, if you’re anything like me, you’ll have the theme tune stuck in your head. Well, good news 90s kids, you’ll be humming the tune for a little while longer as the little guys are back, not only for a new series but for a live-action film. We’ll see the likes of Tommy, Chucky and Angelica crawling around once more, as the Nickelodeon classic will be revived for the big screen. 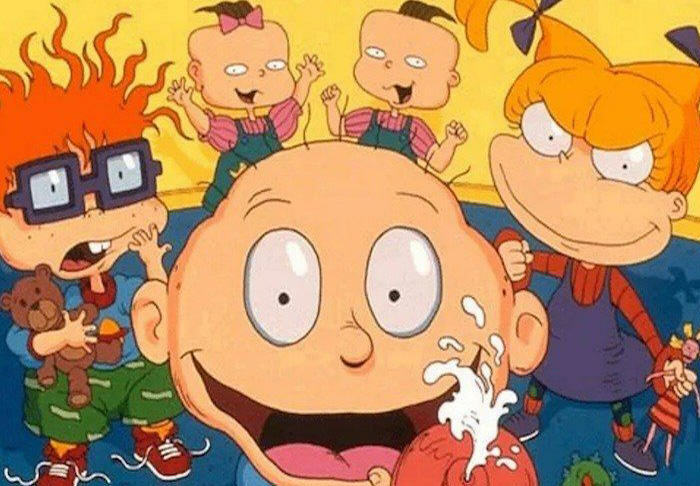 The studio has confirmed Rugrats will be kick-started with a new season of 26 episodes, with the live action/CGI feature film to follow in 2020, reports UPROXX. The animated series originally premiered in 1991, and ran on and off until 2004. Despite the spin-off show, All Grown Up! and animated feature films, it never achieved the popularity of the original series. The new series should see a return to form, with familiar faces reuniting. Production has already started, and the few details so far suggest the film will be a mix of live action and CGI, much like the recent Jungle Book reboot, according to Deadline. Original series creators Arlene Klasky, Gabor Csupo and Paul Germain will return as executive producers, and the film will written by David A. Goodman. Rugrats is hands-down one of the most celebrated cartoons in TV history, and we are thrilled for a whole new audience to meet these iconic characters in brand-new adventures. What was true in 1991 when the original show premiered is still true today: kids are fascinated with the world of babies. We can’t wait for today’s kids to meet Tommy, Chuckie and pals. The film won’t be a ‘what are they up to now’ type of thing, instead it will be a return to the original format of the show – as the troublesome toddlers we’ve all come to know and love. Now feels like the ideal time to reintroduce this iconic cast of characters to a whole new generation of young fans. Kids who grew up with Tommy Pickles and the Rugrats crew will now be able to share that experience with their own children. Since its launch in 1991, the cartoon became a cultural hit, spawning endless merchandise, three feature-length films and and establishing itself as a firm kids TV favourite. Through its nine seasons over 13 years, the show earned four Daytime Emmy awards, six Kids’ Choice awards and even has its own star on the Hollywood Walk of Fame. Though this upcoming feature won’t be the show’s first film, it’ll be the first time we’ll see Tommy and the gang going live action/CGI. Rugrats isn’t the first slice of nostalgia for 90s kids though, as Nickelodeon revived Hey Arnold in 2017 for a new series, and has also announced the return of Rocko’s Modern Life and Invader Zim. The film’s set to be released in November 2020, and production is already underway.